I would like to receive occasional information and updates from Born Free Foundation Summer Ball 2018 and jumblebee. We have some fantastic lots on offer. You can bid online on this page from now up until 12 noon on Friday 22nd June. If you are not attending the dinner, but would like to bid on one of the lots, you can do so by bidding now and placing a proxy (maximum) bid on your lot to give yourself the best chance of winning it. Once the online auction has closed, bidding will re-open at the event at approx. 7.30pm on Saturday 23rd June, and will be available in the venue only. However, the system will continue to bid up for you to your maximum on the night. If you are still the highest bidder at the end of the evening, we will contact you after the event to let you know. If you win , and are not attending the event , and cannot collect the item from Southend on Sea, additional charges for postage may apply. Every effort will be made to find the cheapest possible postage cost however. If you are not attending the dinner, but would like to bid on one of the lots, you can do so by bidding now and placing a proxy (maximum) bid on your lot to give yourself the best chance of winning it. Once the online auction has closed, bidding will re-open at the event at approx. 7.30pm on Saturday 26th June, and will be available in the venue only. However, the system will continue to bid up for you to your maximum on the night. If you are still the highest bidder at the end of the evening, we will contact you after the event to let you know. An executive box (silver package) at Southend United for 10 persons, for a category C game during the 2018/19 season at Roots Hall stadium. This prize is worth in excess of £700 and available at a low reserve. 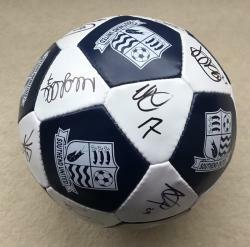 A ball signed by the 1st team during the 2017-2018 season. 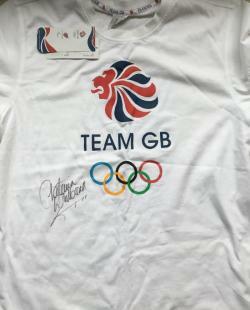 An unworn Team GB T shirt in size Medium. Unworn and all labels present. 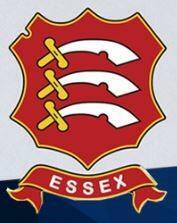 2 Tickets for Essex Cricket at the county ground during the 2018 season and a signed Presentation pack containing the signatures of the championship winning 2017 squad. Prize worth in excess of £50 and available on a low reserve. 2 tickets for Locked in a room - home of the UK's largest escape venues. Tickets valid for use at any time until 1st Feb 2019. A voucher entitling the holder to an evening at the Heliot Steak house, within the Hippodrome casino, recently judged the best steak house in London. Voucher is worth £100 and can be used until the 31st October 2018. Voucher entitles the winner to £500 towards a Tell tale travel holiday from their range of private tours and holidays in Thailand, Sri Lanka, Cambodia, Brazil, Japan. Holiday must be booked by 31st December 2019. This prize enables 4 adults to attend a Premier League game with Platinum level hospitality during the 2018-2019 season. Platinum hospitality includes a basket type meal, programme, and free drinks (alcoholic and alcohol free). Prize also includes executive transportation to and from the game from the Genting club in Westcliff. The prize holder is entitled to a mini health Farm day to detoxify, relax and unwind. a complimentary drink , a 3 course meal , a gaming tuition and gaming vouchers. This prize is valued at approximately £100, but with a reserve substantially lower than its value. Voucher entitles the holder to a one week stay at Alpine Lodge in Bansko Bulgaria, in a studio apartment suitable for 2 persons. There are no blacked out dates. 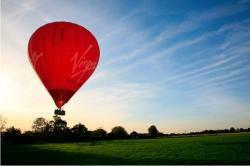 Voucher is valid for accommodation only, and does not include flights, transfers or any food or drink. An amazing signed and framed Artist Proof. 1 of only 5 in existence. Comes complete with certificate of Authenticity and is framed and mounted. Prize valued in excess of £500 and available on a low reserve. Please be aware that online bidding for this item will end at 9 p.m and the online amount will be carried forward to the in room live auction. Eat Out once a month for six months! 3. Pearl Dragon Restaurant: £50.00 voucher donated, and expires Jan 2019. No other exclusions. 4. 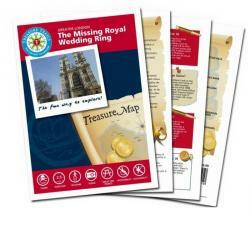 Route 5: £40.00 voucher donated to be spent on food, and with no expiry date. Come and stay for the evening at the lovely Park Inn by Radisson hotel, with picturesque views overlooking the iconic Southend Pier. This 2018 edition BMW golf bag usually retails around £200. All golf sports paraphernalia remain dry thanks to Aqua technology by OGIO, rigid removable rain hood and waterproof zippers and seams. The light Alugestänge with coloured anodised legs and manual installation mechanism ensures a stable stand. 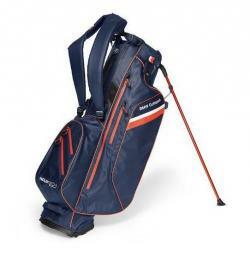 Intelligently structured with five exterior pockets, two inside pockets as well as seven clubs subjects. additional fleece-lined outer pocket with extra protection for valuables and mobile. With Handtuchloop, an open, insulated beverage compartment and Velcro to attach the Golf Gloves. Umbrella holder for the BMW golf umbrella on the outside. Blue dimple-print (honeycomb structure of golf balls) and design stripes as a Visual highlight. Optimum comfort thanks to the padded four-point shoulder strap. Set of 2 signed 1st edition fiction books by Peter Jones. 1. The truth about this charming man. 2. My girlfriends perfect ex boyfriend. 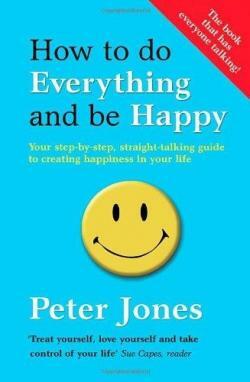 Set of 4 signed 1st edition Self help books by highly rated author Peter Jones. 3. 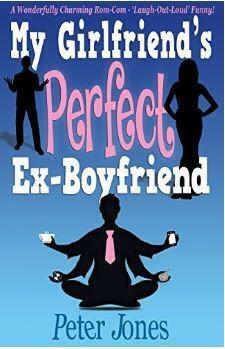 How to start dating and stop waiting. 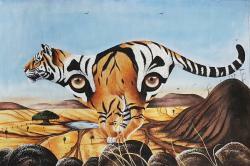 The prize is for a framed original painting of a Tiger by Mahesh Jangam. The medium is watercolour on silk and is professionally framed. Mahesh Jangam, is a highly commended artist residing in the region of the Bandhavgarh National park in India. Mahesh’s work is showcased by a number of major hoteliers, including the Taj hotel group, and by government agencies such as the Kerala Forestry Department and Indian Presidential Palace. Prestigious customers include the ex Indian Foreign Minister. Mahesh also contributes to the local community in India, running an art school for children in the area. His work has been commended in the Times of India, the Hindustan times, and National Geographic Magazine amongst others. This prize is valued in excess of £1000, but available at a starting price at a fraction of its value. The Elephant Trophy is a sculptural art piece capturing the majesty of one of the planet's wisest and most endangered animals. 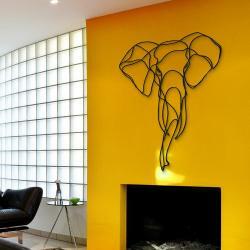 Wildlife belongs in the wild, art on walls! Carefully cut from colour-treated, recycled wood and hand-finished with natural oils in our own design studio, this large-scale 3D design is easy to install with invisible wall mountings. 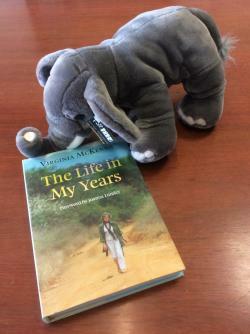 A Large cuddly toy & Book signed by Virginia McKenna, star of Born Free, and founder of the Born Free Foundation. 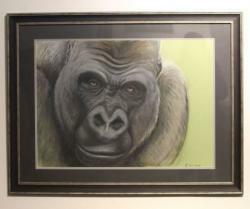 Ellen Wilkinson has kindly donated a lovely Gorilla original painting. 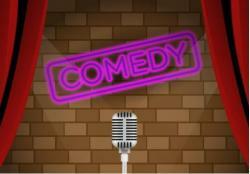 Current picture is a stock picture and may not be representative of the final piece which is currently being produced. 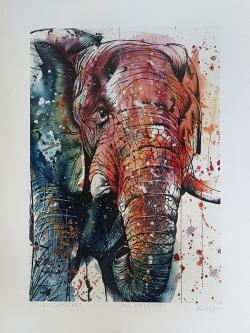 Renowned artist Tori Radcliffe has kindly donated an open edition painting as above, entitled pink elephant. This item which is mounted is currently available at a fraction of value and low starting price. 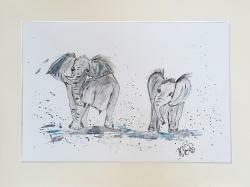 Original charcoal and pastel drawing from a sketch done in Madikwe, South Africa by Trudy Redfern. Trudy is a very highly regarded wildlife and equestrian artist, selected as a finalist in the David Shepherd Wildlife artist of the year competition for her driftwood sculpture. 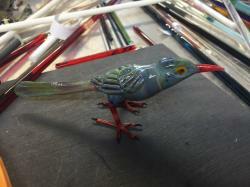 Elizabeth Welch has kindly donated a lovely hand made glass Oxpecker sculpture for auction. 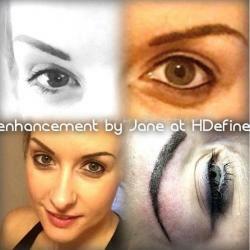 HD Define have kindly offered for auction a course of semi permanent make up treatments or 3 Meso Revitalise Facials at their luxury salon based in Hullbridge. Valued in excess of £150 but with a low starting price. A Limited edition print by Gary Hodges No. 6/1250. This item has been hand embellished by the artist making it truly unique and original. 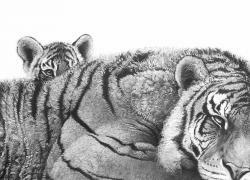 Gary Hodges is the UK’s best selling and most collectable pencil artist, an impressive accolade for a self-taught and self-published artist. The huge demand for Gary’s limited edition prints has led to a lucrative secondary market, rewarding collectors with more than just the beauty of his drawings. A similar item sold last year at auction for £950. This lovely framed and mounted original piece of art has been kindly donated and produced especially for this event by Kirsty Farrington. Available now with no reserve and low starting price to encourage bidding. 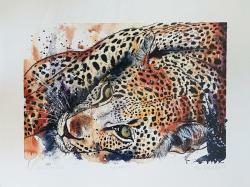 Tori Radcliffe has kindly donated this limited edition artwork of a Leopard. Number 36 of only 100, this item will be highly sought after so get your bids in early! Available at low starting price well below valuation. Please be aware that online bidding for this item ends at 12 P.M on the previous day, and then the online final amount, is carried forward to the in-room starting price. 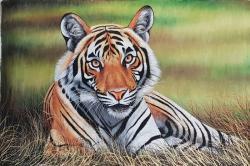 The prize is for a original painting of a Tiger by Mahesh Jangam. The medium is watercolour on silk and is professionally framed. This prize is valued in excess of £1000, but available at a low starting price. This exclusive home wine tasting experience is for 6 persons. Pieroth will come to your house and organise the event. Voucher must be used Monday - Friday between 1st September and 31st December 2018, and exclude school holidays. 2 Personal training sessions provided by PRO8 Personal Training Specialists in Rayleigh. Prize worth around £70 but available on low starting price. A single spray tan session, provided by Sarahs sunkissed glow here in Southend. This prize entitles the winner to £50 to be spent on Conscious Kitchens wide range of cookery and other classes and workshops. 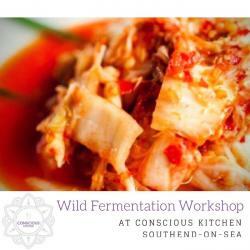 Conscious Kitchen are a plant based café with a focus on gut health and fermented foods. 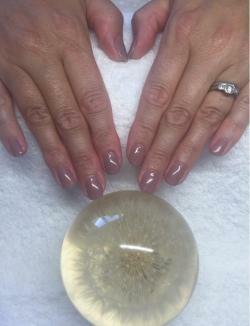 Receive a relaxing Back, Neck & Shoulder Massage at Diamond Beauty Salon in Rochford. The lucky winner will receive a relaxing Indian Head Massage and Deluxe facial at the Little Beauty Cabin in Southend. 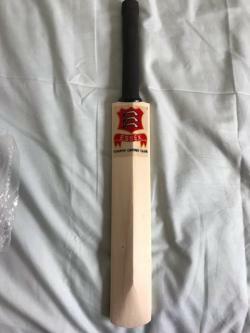 Essex mini sized Cricket bat, signed by various members of the Essex squad from the 2009 season including that of England captain Alastair Cook. Voucher expires on 31st Dec 2018. Kids also go free. Winner will receive a family pass to the Folk in the Oak music festival at Hatfield House on 15th July, worth £95.00. For details regarding the music and entertainment featured, please visit this link. Please see link below for event details. The winner will receive a voucher for 2 persons to go to the Sipsmith Distillery and enjoy a complimentary tutored tasting on Monday, Wednesday and Thursday evenings at 6.30pm – 8.00pm or selected Fridays from 4.30pm – 6.00pm. You’ll be greeted with a ginny tipple in hand, and be taken through the chequered history of gin and learn how Sipsmith came to be. Our three copper ladies, Prudence, Patience and Constance will then take centre stage and you will learn how our award winning spirits are carefully hand-crafted. Naturally, there will be a tasting of them too. 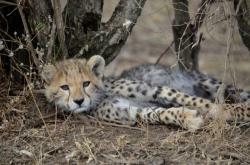 This large beautiful limited edition print is one of only 25, and is mounted on aluminium. 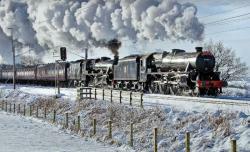 This is for a lovely 80 x 60cm limited edition print mounted on Aluminium. It is a low 25 edition size and will be highly sought after. 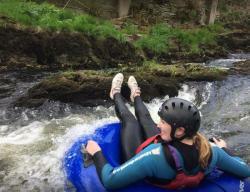 Whatever the weather, all year round, the Go Below® Challenge is a guided half-day (approx 5 hours) experience for 1 person intended for those looking for a unique adventure activity which is sporty, physical and fun. No experience is necessary and all safety equipment is provided. You won't have to squeeze through tight spaces and although you might get splashed, you won't be immersed in water - unless you want to be! 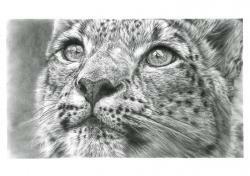 Please see a lovely limited edition drawing of a snow Leopard, donated by Karen Philips, finalist of the David Shepherd Wildlife Artist of the year competition. This prize also comes with a personally signed letter from the artist. 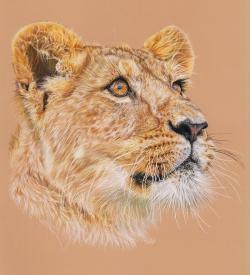 Limited edition print of a Lion Cub drawing signed by Karen Phillips. The picture is far more detailed than that as shown here, and the size is approximately 30 cm x 45 cm. 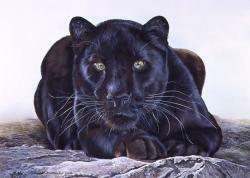 Karen Phillips has been recognised and selected as a finalist in the David Shepherd Wildlife Foundation artist of the year competition. For auction, this original watercolour painting by Carina Kramer, a highly commended artist residing in Germany. 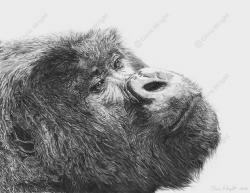 Carina has been a finalist in the DSWF artist of the year competition 2 years running, and was the youngest finalist in 2017. This entitles the winner to £100 towards any itinerary within the Responsible travel portfolio, which can be viewed on their website. 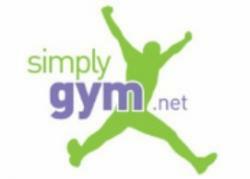 1 Month free membership at Welcome Gym Southend. Membership includes access to all classes, unlimited gym sessions, a gym induction, and a 30 minute personal training session. The winner is entitled to treatments to the value of £45.00 (enough for a full hour treatment), either at the new purpose built treatment centre in Leigh on Sea, or in the comfort of your own home. Perfect to have after a long day of hard day at work. this hour long treatment consists of a muscle relaxing back, neck and shoulder massage followed by stress releasing pressure points on your face and scalp reducing build up tension, boosting your immune system and promoting better sleeping patterns. Caution: Be prepared for experiencing total addiction to relaxation ! 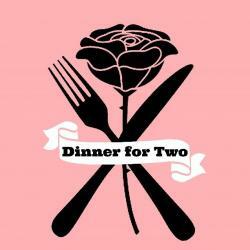 Voucher entitles the holder to £40.00 towards food and drinks at Spaghetti Junction. 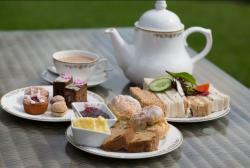 Voucher entitles the bearer to a luxury afternoon tea for two at the Temple café in Chalkwell. 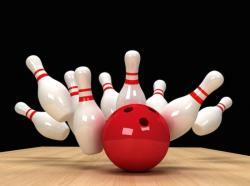 Voucher entitles to a family of 2 adults abnd 2 children to a free game of bowling. Voucher is valid throughout 2018, from Sunday through to Thursday. 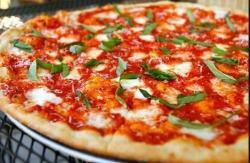 Winner is entitled to two free Margherita pizzas from the Railway hotel. The voucher does not need to be spent at once & has no expiry date. 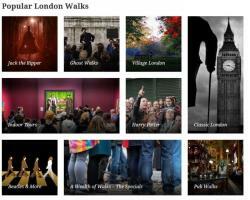 The winner will be entitled to a Studio session at the Picture Perfect Studio in Chalkwell. This prize is worth £150. Voucher entitles the holder to 4 activity places on any of their activities, before the expiry date of 24th May 2019. The activities must be booked in advance with the centre. RRP: Up to £280 depending on activity chosen. Experience a morning driving session on one of the world’s most famous tracks. With this phenomenal Silverstone Thrill Choice, you can take to the tarmac and speed round Silverstone’s specially designed Circuit. You’ll have your pick of either a Ferrari F430 or Aston Martin V8 Vantage. 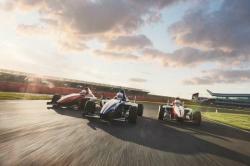 If you’re supercar inclined, or if you’re craving an open-wheeled racing experience, then there’s also the chance to drive a Formula Silverstone Single Seater with its manual four speed racing gearbox. If you opt for the single seater, you’ll be able to get that F1 feeling. Just inches from the ground, you’ll be able to channel some of your racing idols for this 15-minute drive. Tricked-out in a top of the range racing helmet, and with breakneck speeds and electrifying handling, this is a remarkably authentic experience. The other option is getting behind the wheel of your choice of one of two brilliant supercars – an iconic Aston Martin V8 Vantage or a sleek Ferrari F430. With your ARDS-licensed instructor guiding you through every turn, you’ll be able to get the most out of your car, whichever you decide to drive. Experience must be taken within 9 months of ball date. Your experience starts with the qualified instructor giving you a pre-flight briefing which will enable you to understand how the aircraft is capable of aerobatic flight. 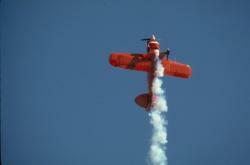 Once in the air, your instructor will accelerate the aircraft to over 100mph before starting a sequence of aerobatic manoeuvres, which may include loops, rolls, and wingovers. Due to the nature of this experience it is unlikely you will be able to take the controls, so just sit back and enjoy the ride. This experience is not for the faint hearted and is definitely not recommended with a hangover. Hop aboard a boat in Poole for a leisurely cruise around Europe’s largest natural harbour, and take in the seaside sights, wildlife and scenery with someone special by your side with this Poole Harbour and Islands Cruise for Two. 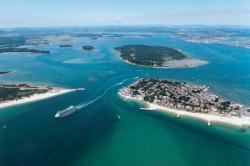 With a human history dating back to 295 BC, Poole Harbour has long been an important part of Britain, from Iron Age exploration and settlement through to Roman invasion, new world trading and even the formation of the Scouting movement on Brownsea Island. As you drift along on your cruise through the shallow waters your skipper for the day will fill you in on the sights and surroundings that you’ll see from either the open-air top deck or the enclosed lower deck, so keep your camera close if you want to capture the intriguing scenery as it passes by. There’s famous houses to spot at Sandbanks, beautiful beaches and historic Poole bays, a castle and Lord Baden-Powell’s original campsite to see as you pass by Brownsea, and keep your eyes peeled for local fauna who might pop their heads up to say hello! On arrival at Poole Quay you’ll head for the red and white City Cruises kiosk to swap your vouchers for Cruise tickets. The staff at the kiosk will let you know when the next departures are so you can plan your time in Poole, and when it’s time to head off you’ll clamber aboard the boat, take a seat above or below deck, then settle in for an informative and intriguing 1 hour 15 minute cruise around Poole Harbour and Brownsea Island. Voucher must be used by the 28th October 2018. Make lunch an occasion to be remembered with this relaxing cruise along the Thames whilst you dine. You and a lucky friend or partner can enjoy a delicious two-course meal from a set menu, complete with tea and coffee, served by friendly waiters on hand to see to your needs. The Thames Lunch Cruise for Two will be a delightful afternoon as you board the river boat and head out on your mini voyage. Take in all the sights as you travel through the heart of London, enjoying mouth-watering dishes and the freedom of being offshore. After your meal why not take a stroll along the deck and round off your experience by capturing the magnificent view from every angle. Some of the landmarks you will see up close include the tallest building in Europe – the Shard, and a genuine WWII warship – the HMS Belfast. 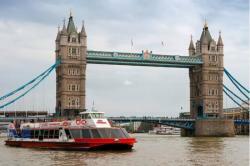 On arrival at Tower Pier, you and your guest will board your river boat at the previously arranged time and commence your 1 hour 45 minute cruise along the River Thames. 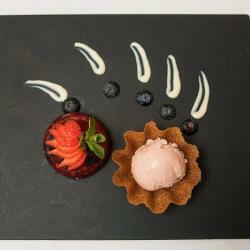 During this time you will enjoy a two-course lunch from a set menu whilst taking in the sights of London. Your delicious meal will be rounded off with a choice of tea or coffee. Then you and your guest may head up on to the deck for an even better view of the London riverside. Enjoy good company as you take in the great landmarks such as the Shard, the Golden Hinde reconstruction and Sir Francis Drake’s warship. You can use your voucher Monday to Friday. Exclusions include 14 February, 30 March, 2 April, 27 August and 25 December. You must pre-book and take your experience before the 31.12.2018. Cruises last 1 hour 45 minutes and leave at 11.45 (boarding at 11.30 prompt) from Tower Pier and return to Tower Pier at 13.30. Lady Tatiana is a luxury motor yacht that is based in Palma de Mallorca, Spain, with all the charter licenses for cruising in the Balearic Islands i.e. Mallorca, Ibiza, Menorca as well as the rest of the, Mediterranean including Barcelona, Denia, Valencia, other Spanish destinations, the south of France including The French Riviera, Cote d'Azur, Cannes and Monaco. suite bathrooms that accommodate up to 11 guests sleeping on board. The 3 day charter will be either starting at 11.00am on the Friday and finishing at 6.00pm on the Sunday (weekend charter) or starting at 11.00am on the Tuesday and finishing at 6.00pm on the Thursday (Mid week charter). All lots are sold on a first come basis and the client would have to accept that if the dates they want are unavailable they would have to pick alternative dates from the calendar. The usual charter price for a yacht like this would be €35k to €40k per week. I) The prices for each lot include chartering of Lady Tatiana or Alhena for the period specified, plus the 4 crew - comprising of the captain, the chef, the Stewardess and the first mate/deck hand – and moorings in the home port of Palma. Everything else is on top. This would include, but not be limited to, food, drinks, fuel for the yacht, laundry, utility charges, and moorings outside the home port of Palma. II) Fuel used during the charter will be charged at 220 Litres per hour at a cruising speed of approximately 1200 RPM on the engines. Day trips in the bay will be charged at around £350 per day cruising from the marina to a single point in the bay of Palma and back to the marina. III) Our yachts are luxurious yachts licensed for up to 11 guests sleeping on board in 5 dedicated en-suite guest cabins, plus 4 crew. 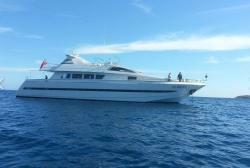 The maximum number of guests permitted to cruise or sleep on the yachts is 11. IV) An Advanced Provisioning Allowance (APA) would need to be calculated and paid to White Star Charter three months before the charter. The APA is the estimated sum of all the costs for the charter such as food, drinks and fuel etc. This estimate is calculated by the charterer completing a provisioning list, which is a list asking a number of questions, such as what the client would like to eat or drink. The Captain will also speak to the client to ascertain what cruising they would like to do, and estimate the cost of fuel as appropriate. The APA sum would be on board the yacht prior to the guest arriving and would be used by the captain for the costs of the charter. At the end of the charter the Captain would provide a breakdown for all the costs and return any unused funds to the Client. V) A standard security deposit of £3,500 will be required. The client would need to give the captain, upon arrival onboard the yacht, the security deposit funds of £3,500 in cash or deposit this sum into our bank account at least a month before the charter. These funds will be returned to the client at the end of the charter provided they are not required for, for example, damage to the yacht, etc. VI) White Star Charter standard terms and conditions will apply and are available upon request. Where there is a discrepancy between these conditions and the conditions in this brochure, the items logged in the brochure will take priority. VII) The clients will need to provide all the names, addresses and passport details of the guests on the preference sheets. The guests will need to have their passports during the charter in case the Guardia (Spanish Maritime police) wish to see them. Voucher must be used by June 2019. This Voucher entitles you to an All Day self-hire punt in the direction of Grantchester Meadows or College Backs. This voucher is valid for hire on the Top River from our Mill Lane boatyard. Details of the location are available on our website http://www.scudamores.com. You can choose to use your voucher on any weekday between June 2018 and December 2018 subject to availability . This voucher is not valid on weekends or bank holidays. We are open daily, weather permitting and you can take out your punt any time from 9am onwards and do not have to return it until our closing time. Each punt holds a maximum of 6 people. On the day you will be asked to leave a security deposit of £90.00 or a credit card imprint. As your receipt you will be issued with a hire ticket, on the back of which are printed the terms and conditions of hire. The deposit is refundable upon the safe return of the craft. The voucher expires on 30th December 2018. This prize entitles the holder to annual Membership on the Grand Pier at Weston Super Mere for two persons. there is no expiry date on the commencement of the voucher. 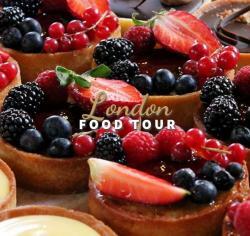 You will have the opportunity to experience our passion by eating traditional British food (such as award-winning Cumberland sausages, freshly cooked breads and amazing fish and chips), sample chocolates/English fudges, taste English desserts and cheeses, drink London brewed beers, ciders and ales, and sip refreshing teas. Prize entitles the winner to one free place on the tour, and further tickets can be purchased if necessary. Prize is valid for use during 2018, providing there are also other guests prebooked. The winner of this item will receive a lovely print, framed and mounted, co-signed by Ian Redmond & Virginia McKenna to make this item truly unique and collectible. 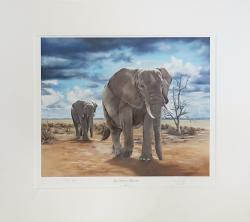 Chris's work is highly commended and selected as a finalist in the DSWF artist of the year competition, 3 years running. 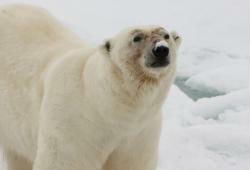 His list of clients is lengthy and includes both Virginia McKenna, Brian May and Ian Redmond, amongst many. 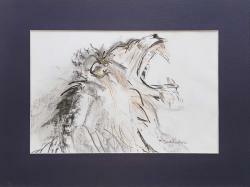 He has had many works sold at auction including one signed by David Attenborough sell for GBP 3k. Winner is entitled to 2 return tickets on Eurostar from London, Ebbsfleet or Ashford to either Paris, Brussels, Lille or Disney. A petite version of the Respectful Elephant Trophy, this wooden wall sign continues to honour one of our favourite animals. 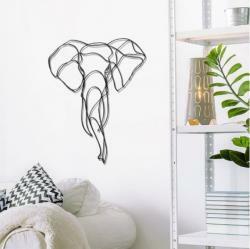 We've ensured that the Mini Elephant still captures the largest land mammal's impressiveness and kind-hearted nature, allowing you to enjoy the striking gaze of this beautiful animal at home. 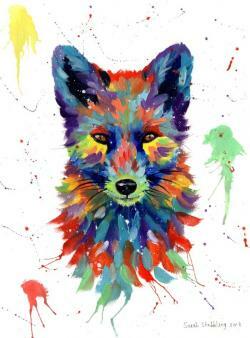 Fox painting by Sarah Stribbling, renowned wildlife artist from Lancashire, and finalist in the David Shepherd artist of the year competition, on more than one occasion. This lovely original piece of art is mounted and ready for framing. This should be highly sought after as it is an original, and in a modern colourful design, which Sarah entitles the dream series. A lovely planter donated by Summerhill Garden Centre. The beautiful original piece of art by Bernadette Marbrow is already framed and ready for hanging. Bernadette work has been internationally recognised and usually sells for figures in excess of £2000. Vintage Watch & Bracelet set by Sekonda. 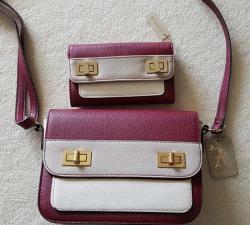 Lovely maroon and cream purse and handbag set from accessorize. New with all labels still attached. 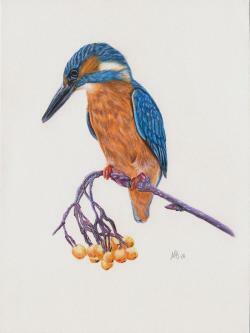 Lovely Original Kingfisher colour pencils drawing on Stonehenge paper, by Amber Ruby Fine Art. The drawing is 8 inches by 12 inches and will be mounted, and ready for framing. Available at very low starting price to encourage active bidding!